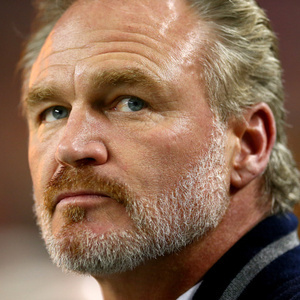 How much is Brian Bosworth Worth? Brian Bosworth net worth and salary: Brian Bosworth is a former professional football player and actor who has a net worth of $8 Million. Brian Bosworth was born on March 9, 1965 in Oklahoma City, Oklahoma but grew up in Irving, Texas. Also known as "The Boz", Brian first came to national attention as college player for Oklahoma under coach Barry Switzer. Boz played at Oklahoma from 1984 to 1986. He was a member of the first-team All American squad in both 85 and 86. Boz was banned from college football after failing a steroid drug test so he entered the supplemental NFL draft in 1987. He was drafted by the Seattle Seahawks and signed an impressive 10 year, $11 million contract. Unfortunately, Boz ended up playing just two seasons in the NFL after suffering a career-ending shoulder injury. In 1993, Bosworth received $7 million from an NFL insurance policy, which is equal to roughly $11.5 million after adjusting for inflation today. Best of all, the $7 million was completely tax free! Brian Bosworth did manage to make a few smart moves off the field. When Bosworth openly talked trash about the Denver quarterback John Elway, 10,000 Denver fans bought $15 t-shirts that read, "BAN THE BOZ." Ironically, those T-shirts were manufactured by Bosworth's company! He also released an auto biography and signed several lucrative endorsement deals. Since then, The Boz has appeared in a number of television shows, commercials and movies. One of his first roles was the 1991 low budget movie, Stone Cold. More recently he appeared in "The Longest Yard" and a commercial for Dish Network.